Paragon Rapid Technologies has teamed up with US-based Additive Manufacturing experts Carbon to introduce their groundbreaking 3D Manufacturing technology into the UK market. 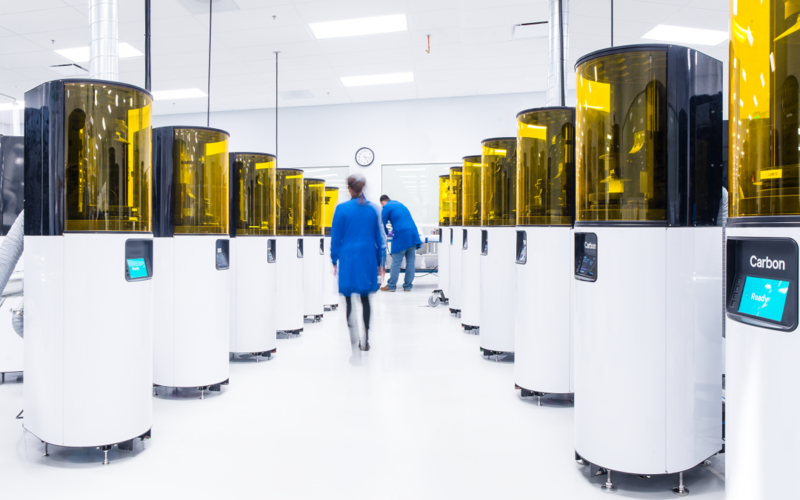 The addition of Carbon’s proprietary Digital Light Synthesis™ (DLS) technology complements Paragon’s growing 3D-printing facility, and has enhanced its additive manufacturing capabilities to supply end-use parts from a wide range of engineering-grade materials. Unlike conventional 3D printing systems, Carbon’s DLS technology manages a liquid gradient using light and oxygen to create robust parts with mechanical properties and surface finish that reflect injection-molded plastics. The cutting-edge technology enables the manufacture of 100s or even 1000s of production parts, very quickly and without the need for tooling. With investments from global financial institutions, strategic industry partners, value-based organisations and venture capital firms , the 3D manufacturing world has taken another significant step towards mass digital production. As Carbon’s first and only UK production partner, Paragon successfully launched the technology at the TCT event in September. Customer applications for DLS range from surgical instruments for orthopedics, to safety device enclosures and automotive components. The partnership reflects Paragon’s commitment to innovation and solidifies its position at the forefront of the 3D printing industry.